Just before I went off to India to take part in ROARR Classic India 2013 touring event I was fortunate enough to be invited to speak at the FORC (Fressingfield Oily Rag Club). I started my motoring carer as an 'oily rag' (mechanic) much against my father's wishes, but eventually with his help! During my career I have had various mechanic roles most intended and others essential when I needed to roll up my sleeves and get my hands dirty as a race mechanic as, I did for the 1968 CanAm. 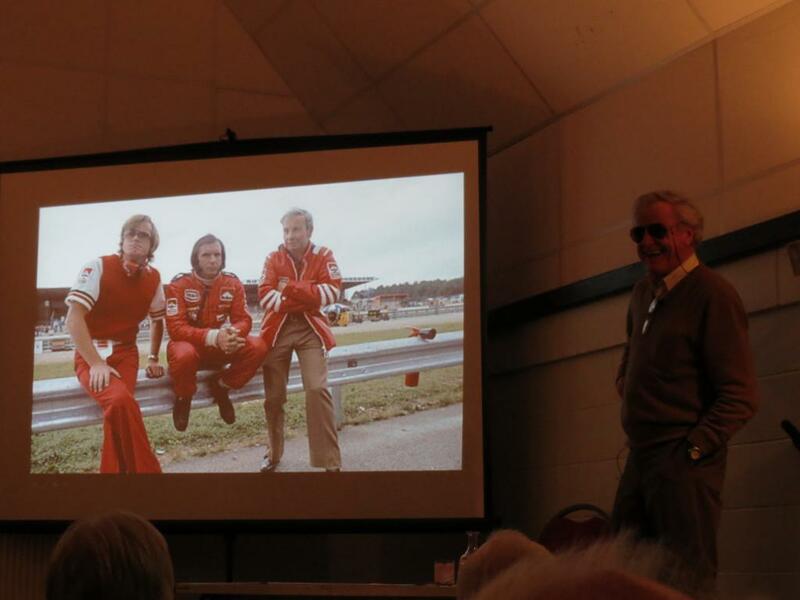 So it was great to be among such a glorious group of historic racing enthusiasts at FORC meeting everyone on the evening was marvellous and I had a great evening regaling my time managing the McLaren F1 team, sharing lots of stories from the 70s about the characters - James Hunt, Niki Lauda, Emerson Fittipaldi and of course some amusing gems about Bernie Ecclestone. It was also good to share my experiences as a 'consultant' on Ron Howard's new movie RUSH - which I might also appear in, if I don't end up on the cutting room floor! Rush is a g reat film covering the period in Formula 1 when champion driver Niki Lauda had his terrible crash in 1976 in which he almost died. And the incredible story of how just weeks after the accident, his competitive spirit had him right back behind the wheel to challenge my driver, James Hunt. A brilliant time of my career and one of the most exciting seasons I have experienced. Look out for the UK release in September 2013. I had the opportunity to share a lot of my visual memories as well. having recently sorted through my vast collection of photographs I was able to use many of these with the FORC folks. This one with James and one of our 'discussions' about how the race should be run. I don't remember the exact details of this discussion but knowing James he did what he wanted anyway! My thanks to Steve Wyatt, Chairman and Organiser, who kindly invited me and now includes me on his roll of honour. Also thanks to everyone that came along, listened and laughed along with me - it was a great night! Strange but F1 won't let you smoke in the cars today! 'Space Station Self Storage' my pride and joy - try it out! 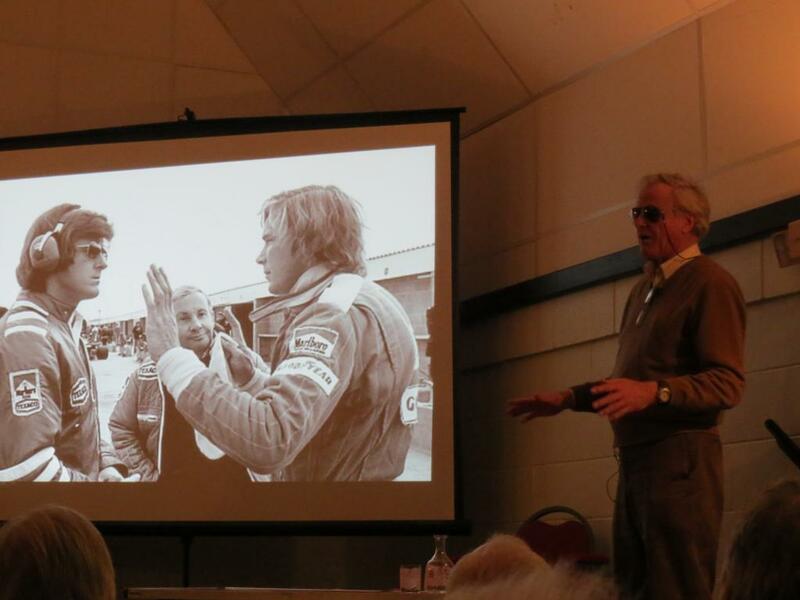 James Hunt and me discussing tactics - again! Alastair and his mechanic, Joe, worked into the early hours of the morning for a week to get the Mercedes 280SL ready to be shipped to India for the ROARR Classic India rally. Alastair will be reunited with the car when it arrives in Delhi a few days before the flag falls to start the rally on 24 January 2013. The Classic India is an almost month-long rally, covering on average around 100-200km per day (and sometimes more) with a few rest days to explore. The route takes the participants off the beaten track to experience some of the indigenous sights of Northern India, such as ancient forts, grand palaces, temples, dunes and, of course, magnificent wildlife. Away from the hustle and bustle (or rather pandemonium!) of the more familiar chaotic roads of Delhi, the participants will be treated to quiet and gentle roads, shared with a few camel carts of course! ROARR is a not-for-profit organisation and this year surplus funds will go towards Women in Need to support women with leprosy in India.